Nostalgia 77 (aka Ben Lamdin) first burst onto the music scene with his heavy, new funk sound in 2002. Nostalgia's style can be described as a combination of soul and jazz composition with computer based production techniques. He is known for his tasty jazz reworks, which tend to include a touch of raw funk to mix things up a bit. This formula certainly works well on 'Reversed'; from the extended drum breaks to the snappy horns, his version sounds very much like a freshly discovered soul 7 from a dusty old record warehouse. 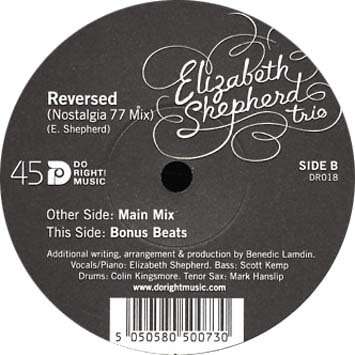 Reversed (Nostalgia 77 mix) is now available as a limited edition 7" single. Don't miss out! Only 500 copies have been pressed of this special collector edition remix. 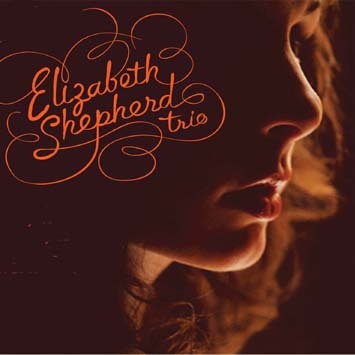 Elizabeth strives to push the boundaries of what is considered conventional jazz to create a sound all her own. The forthcoming album, Start to Move has already play-listed and supported by the likes of Nicola Conte, Gilles Peterson on BBC Radio One, Jazzmate, Paul Murphy, and many Jazzheads alike.